EK Water Blocks, Ljubljana based premium performance PC water cooling gear manufacturer, is proud to present the fourth GeForce GTX 680 water block in the lineup, the EK-FC680 GTX FTW. 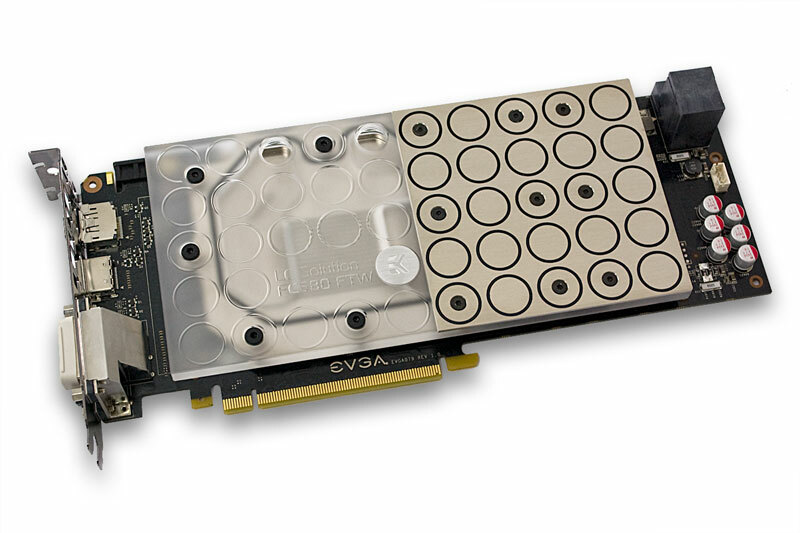 EK-FC680 GTX FTW is a high performance full-cover water block engineered specifically for EVGA design GeForce GTX 680 FTW series graphics cards. This water block directly cools the GPU, RAM as well as VRM (voltage regulation module) as water flows directly over these critical areas thus allowing the graphics card and it’s VRM to remain stable under high overclocks. 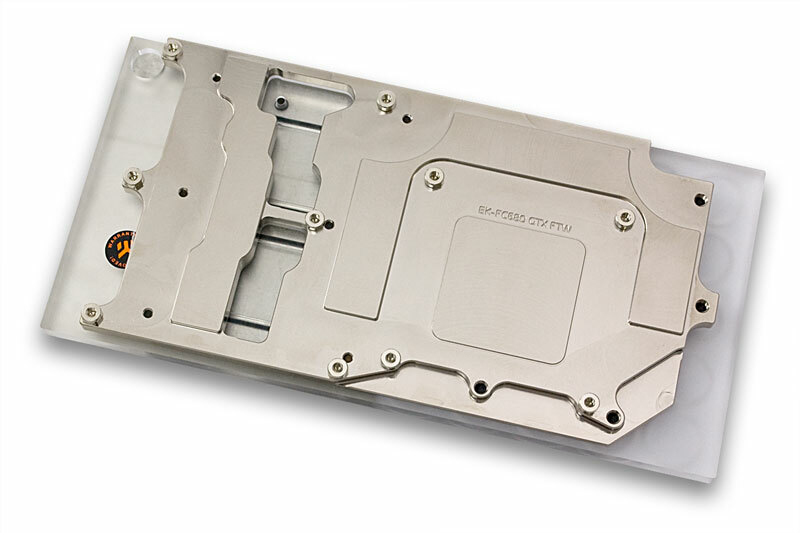 EK-FC680 GTX FTW water block also features a very high flow design therefore it can be easily used in liquid cooling systems using weaker water pumps. Base is made of nickel plated electrolytic copper while the top is made of quality POM Acetal material or satin finish Acrylic material (depending on the variant). The sealing is ensured by quality rubber gaskets. Screw-in brass standoffs are pre-installed and allow for safe, painless installation procedure. Block is mounted with enclosed M3x4 DIN7985 screws and plastic washers. 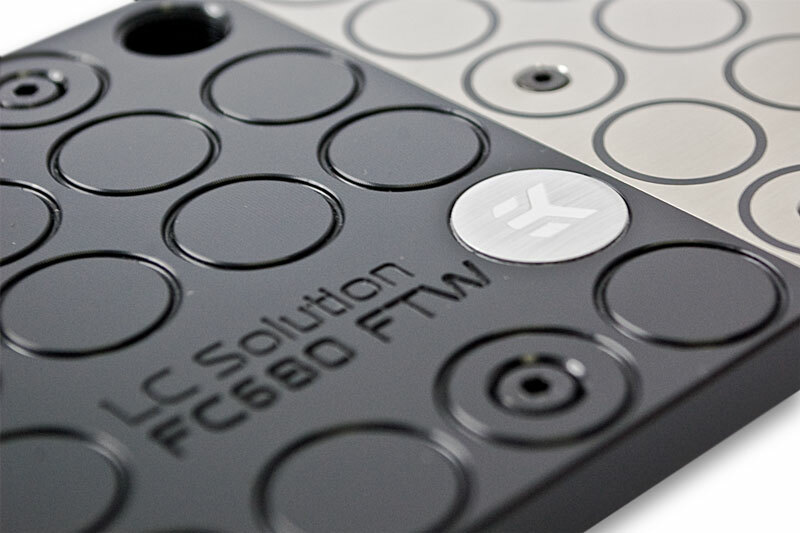 The EK-FC680 GTX FTW series water blocks are readily available for purchase through EK Webshop and our Partner Reseller Network.